RAPID CITY, S.D. - The Black Hills Stock Show’s Versatility Ranch Horse competition is two days, and six events, of cow work, cutting, reining, trail and more. When the dust settled January 28, Long Pines Land and Livestock of Camp Crook, SD, took top Open honors with their gelding Rey Cool Cat, trained and ridden by Justin Lawrence of Alzada, MT. But what makes this more incredible is that this is the third year in a row that a Long Pines horse has been the open champion. In 2017 and 2018, Mia Lil Pink won. 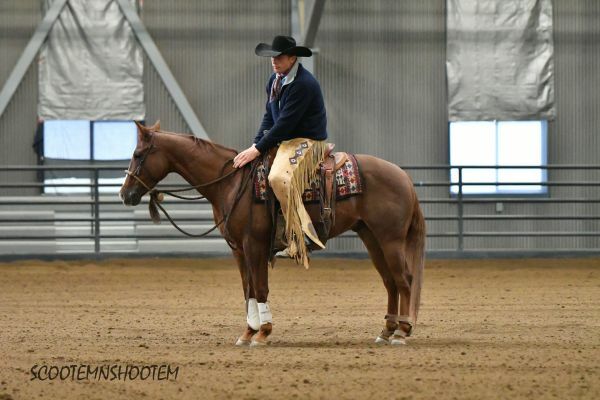 This mare went on to win the World Versatility Championship in Guthrie, Oklahoma in 2018.